Many people believe in New Year’s Resolutions and that a new year means a new start. The New Year is a good time to set goals and hold yourself accountable to achieving those goals. 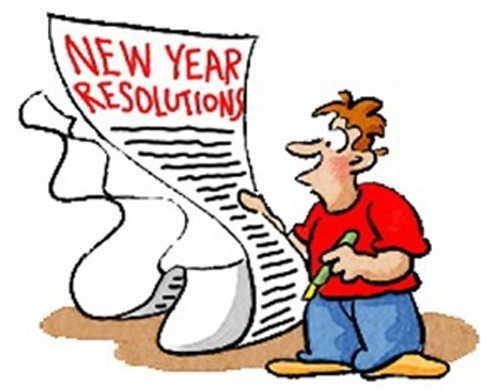 Have you set your New Year’s Resolutions yet? If not, maybe this list will help. No matter what your sport, try something new this year. What aspect of your game could you improve on by becoming a more versatile player? One example that is especially useful for stick-handlers in sports such as hockey or lacrosse is to become ambidextrous. By focusing on one statistic, you have a better chance of make a big, impactful change versus focusing on too many things at once and only improving by an insignificant amount. Basically, take a lesson from the experts, no matter what your sport. Simply find the best format for you to learn and improve, sign up and then attend that camp/combine/etc. with 100% focus and determination to listen and learn from those experts. Depending on how motivated you are, you could make this a semester-by-semester goal, or try to accomplish this at least by the end of the current school year. It is important to understand the contact rules and periods to understand how and when college coaches will be communicating with you. It will also help you to learn about Signing Day, the National Letter of Intent, Official Visits, and how coaches evaluate prospects. Believe it or not, but coaches are watching the way you behave during competitions. Therefore, it is important to show good sportsmanship to your teammates and especially the opposing team. Good sportsmanship will also help you become a better leader. Try shaking hands with the opposing teams’ coaches, congratulate the other team on their win and keep celebrations to a minimum. Not only do you want to show professionalism on your Facebook and other social media pages, but you also want to be searchable for college coaches to find you. Create a larger online presence by developing an athletic profile, posting your game films on YouTube, developing a LinkedIn profile in addition to other social media pages and so on. Volunteer work not only looks great on your college application, but it helps to build character. College coaches like to see that prospects are well-rounded athletes and students with good personalities and social skills.